Are you a small or medium-scale, North Carolina fluid milk producer-processor? Are you interested in expanding your market to North Carolina grocery stores? This publication will help you start selling fluid milk directly to grocery stores. Through direct store delivery, or DSD you deliver your products directly to one or more retail stores, which in turn sell to consumers. This eliminates the need to deliver your products to a central warehouse for subsequent delivery to individual retail stores. The market value of all agricultural products sold directly to consumers in North Carolina rose nearly 10% between 2007 and 2012 and is expected to continue growing (2012 USDA Ag Census). The trend of seeking food produced close to home continues among consumers. This trend also extends to dairy products. Retail outlets, such as grocery stores, provide an opportunity to meet consumer demand for locally produced dairy products while simultaneously offering dairy producers a broader consumer base. This publication does not contain any legally binding interpretations, and we recommend contacting the North Carolina Department of Agriculture & Consumer Services (NCDA&CS), Food & Drug Protection Division with further inquiries or clarification requests. The information presented here assumes that you, as a Grade “A” Dairy producer, are already compliant with the applicable federal and state laws and regulations governing the processing and sale of Grade “A” fluid milk. You may wish to speak with an attorney for clarification on the laws pertaining to milk production. 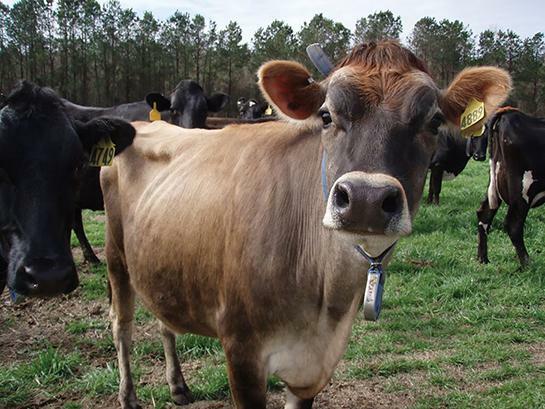 You can also find web addresses for North Carolina dairy law resources in the Additional Resources section of this publication. 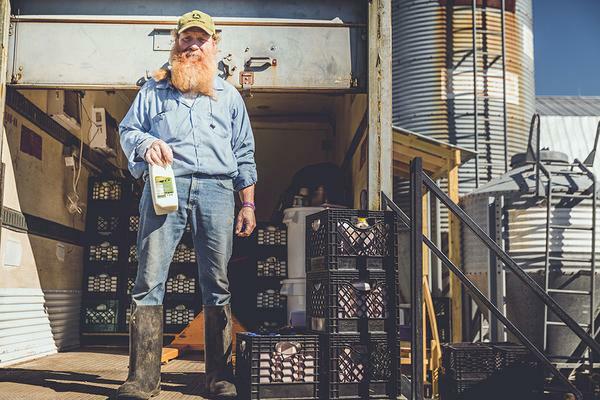 Many small to mid-sized dairy farm businesses that process and bottle milk find that they need several markets or outlets to sell their milk. If this is true of your business, you will likely want to approach multiple grocery store chains, small corner stores, restaurants, and food service companies regarding your product(s). Some retail grocery store chains will require you to “guarantee” your product. This means that whenever you make a delivery, you must remove any unsold out-of-date products from grocery store shelves and replace them with fresh products. You will need to provide an invoice credit for the items removed. The guarantee policy is a common industry practice that is followed by all scales of retailers, though grocery cooperatives and some other types of retail stores may not require such a guarantee. When calculating the wholesale price of your product, consider the cost of production, your time, materials, and transportation overheads. The grocery store mark-up is also an important consideration in pricing. Depending on the store, you can expect the retail mark-up on your product to be in the range of 25% to 35%. You must take this into account when setting your wholesale price to ensure a competitive retail price. Grade “A” Pasteurized Milk Ordinance (2013 Revision), Section 4, Labeling. Guidance for Industry: A Food Labeling Guide. You may contact Extension specialists at the NC State University Food, Bio-processing and Nutrition Sciences Department for assistance with your product labels. NCDA&CS dairy specialists may collect product labels during an inspection for review by the Dairy Compliance Officer. Please note that the office of NCDA&CS does not approve labels. If you have not already established a “sell by” or “best if used by” date protocol, you may contact NCDA&CS for further guidance. While product dating is not required in North Carolina except for infant formulas and over-the-counter drugs, most retailers require these dates stamped on perishable foods, including dairy products. This information helps the stores determine how long they should display the products for sale. Also, consumers prefer to see calendar dates as they often purchase products based on them. Nutrient values for fluid milk are available from the USDA National Nutrient Database for Standard Reference. This database offers nutrient values but does not offer standard nutritional fact panels that include the size of serving, number of servings per container, and nutrient values. You can acquire a nutritional label either through a database or by sending the product for a full nutritional analysis. Nutritional fact panels are available for purchase through NC State University’s Entrepreneur Initiative for Food (ei4f) database. Contact ei4f at foodbusiness@ncsu.edu. Note: This list is not meant to be exhaustive. The inclusion or exclusion of names on this list is not meant to imply endorsement. The Nutrition Labeling and Education Act of 1990 (NLEA) requires food labels that bear nutrient content and health claims to comply with specific requirements. In-depth review of these claims is outside the scope of this publication. Labeling of organic milk and certification of organic dairy operations are subject to National Organic Program (NOP) regulations. The NOP, housed within the USDA Agricultural Marketing Service, has regulatory oversight for organic standards and accreditation of certifying agents. More information can be found on the NOP website. Be prepared to prove any claim that you make on your label. A Universal Product Code (UPC) is a 12-digit international standard bar code that has many uses for retailers. Retailers can use UPCs to scan items through their cash registers, identify products, track sales, and manage product inventory. By connecting your product’s UPC to their inventory systems, retailers can track quantity on hand. UPCs can be unique to your item and company, or they can be generic codes for standard commodity-type items. You can obtain unique UPCs either through a reseller or by joining the GS1 system, an international not-for-profit association that assures globally recognized bar codes. There is a membership fee, based on the number of product items to be coded, for joining the GS1 system, and membership must be renewed annually for an additional fee. UPC resellers are much less expensive because there is no membership fee, and the cost is minimal for one UPC. Use caution, however, as some major retailers will not accept resold UPCs because the third party seller may not be able to guarantee that prefixes are unique. Before speaking with your buyer, learn more about GS1 versus UPC resellers by viewing the NCDA&CS’s Got to Be NC video, “Do I need a UPC Code?”. Additional information on UPCs, including where to order UPC labels, can be found in the North Carolina Growing Together and NC Cooperative Extension publication, Tips for Produce Growers Marketing Fresh Produce to Retail Grocers: Understanding PLU and UPC Codes, LF-002 (Fugate 2014). The preferred location for the UPC is on the back or side of the carton; however, some producers incorporate the UPC, nutritional information, and ingredients into the product label to reduce printing costs (Figure 1). 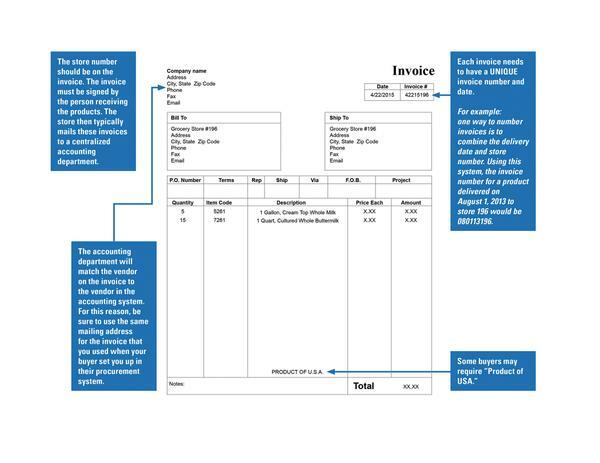 Sellers and buyers should maintain invoices on file for 30 days. Figure 1. Sample nutritional fact panel and UPC for a half gallon of whole milk. Proof of permit/authorization from the FDA/NCDA&CS to produce your product. If your product will cross state lines, then you will need evidence of inclusion on the FDA Interstate Milk Shippers List in addition to a Grade “A” Milk permit. Copies of inspections from NCDA&CS and assurance that facilities are still under routine inspection. Copies of Hazard Analysis and Critical Control Point (HACCP) plans for products and processes. Copies of third party food safety and sanitation audits of facilities, if applicable. Copies of third party certifications, such as Non-GMO Product or USDA Organic, if applicable. Proof of liability insurance. The amounts of coverage required vary by retailer, with some going up to $4 million for product liability insurance. Some companies also require proof of insurance for the vehicle in which you will make deliveries. Contact your insurance agent to obtain a certificate of insurance. Explanation of the duration of product shelf life and how the “use by” or “best by” date is affixed to the product container. Note: some grocery stores require the “use by” date to be printed on the product container, rather than using a sticker. Also, some retailers want a description of how the shelf life duration was determined (e.g., product tests performed by the producer or similar tests performed by a laboratory). Description of how the product will be delivered. For example, the product could be self-delivered in a refrigerated truck, in coolers in a pickup truck, or by a third party delivery company. Another consideration is whether milk containers are packed in cardboard boxes or plastic crates. If plastic crates are used, then storage and pick-up of empty crates is a matter to discuss with the retailer. Images of the UPC for each product offered. See the Universal Product Codes section of this publication for additional information, including how to obtain UPCs. Images of the labels for each product offered. Labels must include nutritional information, ingredients, and the FDA milk plant number or address. See the Product Labeling section of this publication for additional information. A list of all products offered by type and package size, including UPC numbers, wholesale price, and case counts (see table below). This list can include all of your products, not just dairy products. Be sure to incorporate your shipping charge in the product wholesale price, unless the retailer states otherwise. Insuring there is good communication with the retailer from the first contact is very important, as it can influence a retailer’s decision to buy from you when choosing among multiple vendors. Familiarity with the vendor requirements discussed in the preceding section will help with the communication process. Call or visit the store location nearest you and ask the store manager if there is a local product specialist with whom you could talk about selling your product direct to store. Call the retailer’s home office and ask for the name and best mode of contact for the director in charge of dairy. I’ve spoken with [MANAGER NAME], the manager of the [STREET NAME AND CITY] location of [NAME OF GROCERY STORE CHAIN], who provided me with your contact information. I would like to express my interest in selling our farm’s local North Carolina [TYPE OF DAIRY PRODUCT(S)] to [NUMBER] of your stores in the [NAME OF CITY] area via Direct Store Delivery (DSD). Attached is our wholesale product price list, proof of liability insurance, and label pictures. I have also included a brief version of the story behind our products. I would very much appreciate the opportunity to meet you in person and bring samples of my products. If you have a phone number for the point of contact, then follow up the email with a call in two or three days. If your initial contact is in person or by phone, then the sample email still provides a good example of the information you should bring to a meeting or discuss during a phone conversation. After the retailer has agreed to sell your product, you will go through a new vendor set-up process. The first step in this process is usually completion of a number of forms (often called the vendor set-up package) that will likely include many of the items listed in the Vendor Requirements section. These forms also require your contact information, your federal tax ID number, and may also include your bank account information for direct deposit of the company’s payment of your invoices. If you need some assistance or have some questions about how to properly complete these forms, refer questions to your point of contact or seek support from your county Cooperative Extension center. Ask questions. Instructions are not always clear and nearly every vendor needs help with something in the package. After you have successfully completed the vendor set-up process and you have agreed with the buyer on the store location(s) that will sell your products, discuss with the buyer the best way for you to make contact with the store manager(s) directly. This may include a store visit prior to your first delivery date, an email, or a phone call. Be sure to wait for permission from the buyer before you make any direct contact with a store. During the first communication with your store contact, confirm delivery details. Discuss preferred delivery days and times, find out who the receiver is for that particular store (and meet that person if possible) and the receiver’s working hours, identify the delivery location (i.e., back door or front door) and restocking location, discuss the reorder and invoice processes, and ask any other questions you may have. Some store receivers ask that you stock the shelves with your products upon delivery, while others prefer to do it with store staff. Do your best to stay on schedule and deliver your products on time, but if an emergency should arise and cause you to miss your delivery window, be sure to contact the retailer directly and immediately. This first communication is also a good time to discuss placing your dairy product(s) in a favorable location in the dairy display. Individual stores vary in their flexibility for placement. Request a placement among the specialty dairy products (e.g., organic), and ask if they have shelf price labels that indicate that your product is “local.” Also, each retailer has their own way of promoting sales and may or may not provide marketing materials for your product. Explore opportunities to work with the store contact on point-of-sale materials that tell your product’s story. This first conversation is your opportunity to start a relationship with each store, make a positive first impression for marketing your product and gaining reorders, and delineate a merchandising plan to increase your potential for successful and profitable sales. It is important to communicate clearly with your buyer and your store contact at this first meeting. Be sure you leave the first meeting with a full understanding of the store requirements, how the store handles deliveries, and whether or not your sales will be based on a guarantee. Remember that your first delivery is just the beginning of your relationship with a store. To maximize your profits, it will be important for you to keep up with how well your dairy products are selling at each store and adjust the amount delivered to reduce product losses. Also, be aware that sales may fluctuate over time, so if the store runs out of your products before your next planned delivery, you may have an opportunity to make an extra delivery. If you are working with a retailer that works on a guarantee basis, it may be helpful to call the store before your second and third deliveries to find out how many replacement products to bring. If you sell your products to a retailer that does not require a guarantee, it is important for you to monitor products that are discarded due to spoilage or for other reasons are unsellable, also known as shrink. You can adapt your future delivery quantities to minimize retailer loss, which equates to more profit for the retailer and reduces waste. Retailers understand that some amount of shrink is unavoidable, but changes need to be made if the amount of shrink is consistent and excessive. In time, you will learn how many cases to bring each delivery. And as demand grows, some stores may prefer to always keep extra cases in the back for restocking throughout the week. By adjusting your delivery quantities based on assessment of shrink and other factors, you are participating in a collaborative relationship with the retailer to minimize their losses and maximize sales opportunities that benefit both you and the retailer. Look for opportunities to help the store market your products. For example, some stores offer in-store tastings. You are the expert, and store guests love meeting and hearing about the farms that produce their food. Education can result in higher sales and repeat purchases. You can discuss these types of opportunities during your initial meeting and perhaps find a date soon after your first delivery for your farm to participate in a store event. General Specifications for Dairy Plants Approved for USDA Inspection and Grading Service. 7 CFR § 58, Subpart B. North Carolina Adm. Code. 02 NCAC 09G .0100. Milk and Milk Products: Pasteurized Milk Ordinance. 2002. Nowlin, Michelle B. 2012. Growing your Local Food Business in North Carolina: A Guide to Laws and Regulations. Carolina Farm Stewardship Association. pp. 14–16. Records and Reports of Milk Distributors and Processors. Gen. Stat. Chapter 106, Article 28 § 106 260–§ 106 266. Current Good Manufacturing Practices. Food and Drug Administration (FDA) Regulations. 21 CFR § 110. Grade “A” Pasteurized Milk Ordinance 2013 Revision. Dairy Grade “A” Voluntary HACCP. Fugate, Ariel. 2014. Tips for Marketing Fresh Produce to Retail Grocers: Understanding PLU and UPC Codes. LF-002. Raleigh, NC: The Center for Environmental Farming Systems and N.C. Cooperative Extension. USDA National Nutrient Database for Standard Reference, National Agricultural Library. The authors extend their appreciation to Gary D. Cartwright, Marti Day, Rebecca Dunning, Tristan Laundon, Minoo V. Mehrotra, and Steve Washburn for their useful insights and/or review of this publication. This material is based upon work that is supported by the National Institute of Food and Agriculture, U.S. Department of Agriculture, under award number 2013-68004-20363. Any opinions, findings, conclusions, or recommendations expressed in this publication are those of the author(s) and do not necessarily reflect the view of the US Department of Agriculture. CEFS is a partnership of North Carolina State University, North Carolina Agricultural & Technical State University, and the North Carolina Department of Agriculture & Consumer Services.